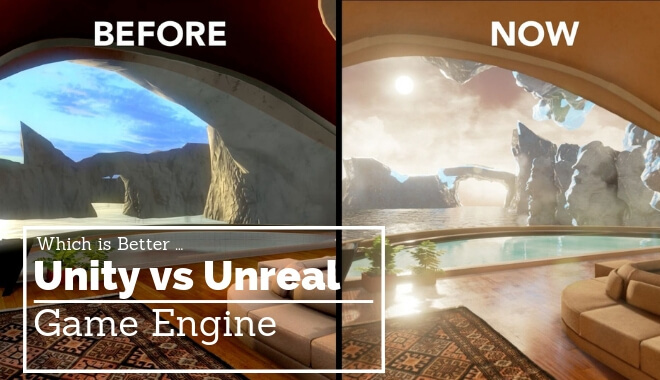 Unreal Engine vs Unity: Which is Better? Back in my younger years, I was like any gamer: I was drawn to creating my own projects. I used rudimentary programs for developers at a young age, not feeling fulfilled in the least with the tools at my disposal, or the end result from using them. I was disheartened and my foray into the gaming development world ended, leaving me just as a loyal gamer, satisfied with sitting it out and enjoying beautiful works of art. Graphics that come to life and make you feel like you’re in another world. Nowadays, the technology has developed to an amazing standard that would put my basic flash animation and stone age-esque designs to absolute shame. The engines many popular games run on really put you in the driver’s seat for a realistic ride through some of your favorite titles in modern times. Specifically, two on these gaming engines, Unity and Unreal, are two of the most popular examples. You’re a developer, which do you choose as your gaming engine? That all depends on many factors. Luckily, I’m here to clear the air and state some facts about both, and ultimately leave it to you to decide which engine is the best fit for your project. A close friend of mine once humorously stated, regarding Unreal, that it has been around so long and used in so many games, that it was developed on Lincoln’s train ride to deliver the Gettysburg address. Although not quite that old, (released in 1998), Unreal has a storied and multilayered history. It was developed by Tim Sweeney and Epic Games. It has been used in all genres of games across the past twenty years. Titles like the original Deus Ex, Splinter Cell, and of course the Unreal Tournament series all have utilized this engine. Unity was developed by Unity Technologies and released in 2005. It was originally revealed to be an exclusive to OS X titles, being revealed at an Apple conference. Now it’s supported cross-platform. Some famous titles using the Unity engine are the wildly popular Temple Run, Rust, Pillars of Eternity II, and 2017’s Animal Crossing: Pocket Camp. Which Engine Should You Use? The possibilities with these two prolific engines are manifold. What’s your personal aim as a designer of games? Are you specifically interested in 3D platformers, FPS’s, and RPG’s? How about a puzzle game like Braid? Want to design the next big craze like Temple Run? It all depends on the developer’s aim, vision, and goals. The difference between your vision, whether it be more ‘Clash of Clans’ or ‘Assassin’s Creed’ all comes down to your engine. My personal preference are 3D games like the ones we all know and love: The Splinter Cell series, X-COM, and the, (hopefully), soon to be released Final Fantasy VII remake. However, that’s just me, and I’m no world-class developer. If you’re also into strictly 3D titles, then Unreal is probably your best bet. Unreal is currently on its 4.21 release, rolled out in November 2018. Unreal 4 has apparently been in development since 2003, and the hard work by Epic Games shows. Unreal is a great foundation for creating next-gen physics and graphics. My personal favorite aspect of the engine is its quality execution of dynamic lighting to really immerse you in a virtual world. For these purposes, it really has become an industry standard, winning tons of awards form gaming publications and industry accolades. Unreal shows no signs of stopping, being used in the recent Darksiders III, the soon to be released Fortnite: Save the World, and even the new Gears of War game, Gears 5. I was surprised to learn that using the engine software is much simpler than I ever imagined. 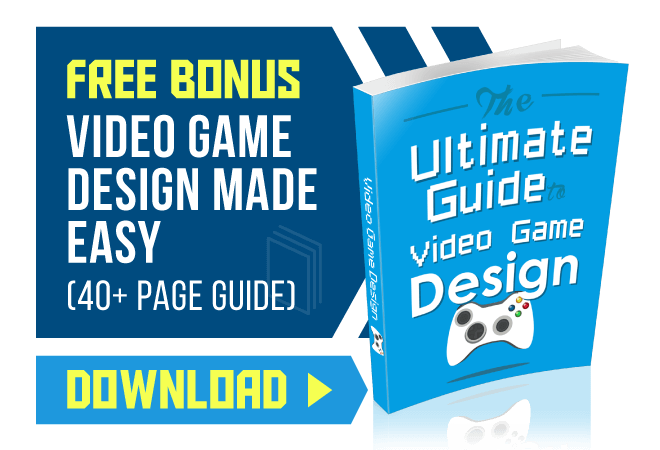 You can use a blueprint without coding, something that is a daunting aspect of the finer details of game development. So, if you’re attracted to heavy hitting genre titles such as these, I would say Unreal 4 would be the best avenue to take. Unreal supports about 10 or so platforms across gaming. Unity is a very versatile engine and is turning out to be a staple for mobile developers. Whereas Unreal 4 caters to more expensive Triple A titles, Unity can handle its own share of the workload. As mentioned above, Temple Run was developed with Unity, and I can’t overstate how popular and well-made that game was. If you’re a developer that wants to cater to mobile or flash gamers, then I would suggest Unity out of the two. Unity’s 3D engine is powerful as well, creating a wide swath of options when developing. And luckily for anyone determining which engine to choose, Unreal is also branching into the 2D world as well. If you’re gravitating towards more puzzle-based or 2D games, I believe Unity would serve you the best. Unity includes a user interface and tools that are very accessible to people who perhaps aren’t as well-versed in game design. It can be a valuable stepping stone to a more complicated engine, or your perfect niche if you’re developing something simple and not sinking millions of dollars into. Unity has a great cross-platform base and is accessible over 25 different platforms. The accessibility alone should be attractive to those with an open goal of game design. Along with being pillars of the gaming world development-wise, both engines have active community members. The way in which ‘normal’ people can access both engines allows for a robust community of users and creators to engage and talk about games and the engines themselves. Out of the two engines, which has the bigger community? Unreal has a very active community, and it’s no surprise. If you were one of the premiere game engines, you’d have hundreds of thousands of fans and forum users. Primarily, the official Unreal forum at https://forums.unrealengine.com/ is the home of all things Unreal engine. I did a deep dive and the forum is hopping, a hub of people posting multiple times per hour. I love the constant activity, because that equals more creative forces at work. They offer many different forums, like the marketplace, Unreal beta, events, content creation, (animation, rendering, blueprint visual scripting, python scripting, etc.). So, there’s no shortage of places you can go to talk about the engine itself and bounce ideas off of countless community members. Unity, likewise, has a great resource in the form of its community. Just when I think one engine has an edge, the other one tugs its way back, showing the amazing features it has. It’s so hard to choose! Their forum includes many of the same aspects between the two engines. Again, I love the sheer number of community members that can talk about extremely specific ideas like their ideas on game creation and share their renderings for constructive criticism. Luckily for either choice, both communities are massive. I truly couldn’t say which one was bigger than the other. And what a good thing that is; users can truly feel at home with fellow creative types and always have a constantly updated forum to visit during their development periods. One of the real moments of truth here: the prices of the engines. What’s your financial situation? Are you able to spend freely while developing, or are you conservative with your funds? Each engine has a price and maybe that alone could sway your decision-making process. Obviously, if you’re a developer like Bethesda or Epic Games, price, for the most part, is no issue when choosing an engine. But what if you’re a first-time developer, like Jonathan Blow with 2008’s Braid? Unity is completely free, (although some aspects, as you’ll see, aren’t included free), and I’m surprised it’s free for the quality you can make with it. Of course, you can spring a lot of cash for the Unity Pro version, which will run upwards of $1500 for a one-time purchase of the program, or you can use the Pro version month to month for a subscription of $75 a month. If you’re on a strict budget, and your project is small enough, you could realistically get away with a reduced price through the monthly subscriptions. Or you could also take your chances with the free version, which is great quality in its own right. I noticed many users online recommend the free version to first-time developers, and I believe that’s the smart move in this case. The important thing is that you have many options and you’re not backed into a corner to choose a version. Another positive thing for those on a tighter budget, you don’t owe royalties to Unity at all. Now, reading about the price of Unreal 4, I almost couldn’t believe it. There are no different versions, price-wise: it’s free. Also, another fun aspect is that schools get it for free as well, encouraging more computer software developing with students, opening students up to the world of game designing which could be a great thing for the industry. You could spend late nights on campus making the next big game idea and fleshing it out beautifully in the free Unreal 4 engine on your laptop. It almost seems too good to be true. Professors could teach an entire class using Unreal 4, wouldn’t that be….unreal? Sorry, I had to. But yes, it’s completely free, albeit with some caveats. You would owe royalties to Unreal from your published game. I have to say, aside from graphics, this is a time where Unreal 4, in my opinion really comes out on top here. Although Unity free is still great, the fact that the overwhelming software of Unreal 4 is free everywhere, (although with the royalties), is seriously tempting. Overall, I would give Unreal 4 the edge here, just for the power you get for free is almost criminal. The royalties, although not ideal, is really a small price to pay for the power you receive through the program. Unreal uses Blueprint. This really got me into it. Apparently, the user doesn’t even have to know code or how to write it, (I’ll admit, I don’t know how to even begin to write code! ), so this scored some points for Unreal 4 for me. Unbelievably, you can realistically create environments and complete games by using the tools in blueprint. The overall accessibility of this feature puts Unreal 4 on top for scripting, (or lack thereof!). Unity uses C# for its scripting, which is a little more complicated in terms of developing. However, after looking over the tutorial page, it doesn’t seem so difficult after all, especially if this isn’t your first foray into game developing. Chances are, you’re familiar with code, HTML, and other aspects of tech that this would be an easy assimilation. It’s not like normal coding. The program directly tells you if a string of code is incorrect or causing problems. Think of it as coding ‘with training wheels’, not that there’s anything wrong with that! You want all the help you can get if you’ve committed to Unity and need to develop an intense and detailed project. The asset store is also another key aspect of the two engines. One of my favorite things with gaming today is the easily accessed ability to download assets for a game. This reminds me of the Steam Workshop, where a player can download tons of mods right from one page and it seamlessly installs into the game. Asset stores are much like that, allowing users to download props, shading, textures, and more from the store. As much as I may seem biased towards the Unreal 4 asset store so far, the Unity asset store kills it when it comes to asset stores. The sheer number of assets you can download to use in your project is unmatched. The profiler lets you have a more comprehensive, detailed look at specific parts of your project, quickly being able to sense and detect problems or snags you may come across in your work. I believe it’s essential in your development, as humorous as it was for the one Reddit user, (an avid Unity 5 user), to have no idea about it. Having trouble with your performance and can’t pin it down? Play your game with the Profiler window open to see the minutia and specifics. Please keep in mind, however, that the free version of Unity does not include the Profiler. I know, bummer, but it’s only included in Unity Pro. As I’ve stated earlier, I would challenge anyone to look at many Unreal 4 engine games and not be absolutely floored by the capabilities of some of the titles that utilize the engine. It’s the staple of the next-gen era of consoles. There’s no mistaking the unique style of the upcoming Crackdown 3, Injustice 2, and Kingdom Hearts III. For many big studios, Unreal 4’s graphical quality is their preferred choice when deciding on graphical prowess. In 2004, I played Thief: Deadly Shadows for the first time. You play as Garrett, the best thief this side of town. You actually felt like you were a part of the beautifully rendered shadows, and it fully immersed me in becoming the ‘master of the night’; someone who walks in like a shadow and pickpockets the coin purse from an unsuspecting guard while he’s on patrol. Unreal made it a possibility. After replaying it over ten years later, I was still greatly impressed by the dynamic lighting and graphical models of the environment and the characters. It really has a lasting impact, and many titles can, unbelievably, hold up after more than a decade. Unity is nothing to ignore, however. Playing Wasteland 2 on PC was a great experience graphically, even though it was a 3D isometric title. I felt like the environments were a beautiful, although apocalyptically grim, place to explore. Also, who could forget Rust, the amazing title developed by the same developers of Garry’s Mod? I explored the wilderness in the game and survived on the meat of animals in a world I truly felt a part of. Both engines shine in many areas, but Unreal, I believe, has the more heavy-hitting graphical power over Unity. Which Engine is Easiest to Use? Unfortunately, I wish I could give you a straight answer. It’s entirely up to you, the developer, about how you want to develop your game. Both engines are some of the best ones out there, so either one you choose won’t be a mistake. It really comes down to personal preference and the specific game you’re making. I would say games with bigger budgets and more nuanced, insanely detailed 3D environments, personally I would go with Unreal. If you’re a developer interested in either 2D side-scrollers or mobile games primarily, I would absolutely choose Unity. But again, they can be interchangeable depending on the skills of the developer. Both engines are thankfully powerful graphically in their own right, and both have great communities to either help or bounce ideas off of. Either way, I think we can all agree that the ease of access to these engines makes the gaming world and community a better, more creative place.